I was warned this is a hard book to read due to the violence. I’m allergic to graphic violence in war – it’s really just highly organized murder and that’s not good for me (or other living things!) – And violence in film or books, even supposedly anti-war films or books, elicits the same response as films and books which glorify it. – No thanks. Turns out this is as much a love story as it is a war story – a general “yuk” to that, too, for some reason, but after about half way I just devoured this book – it really is excellent although the subject matter and the detail with which Flanagan presents it is the most horrific I’ve ever read – I think if he could have thought up anything worse he would have included it. Anyway! 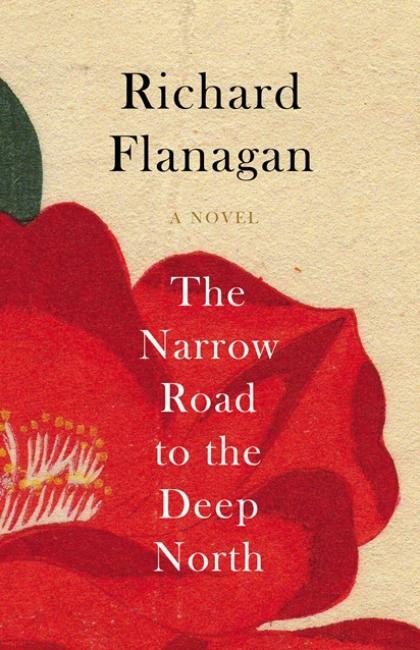 The Narrow Road to the Deep North is about the building of the Burma- Siam (Thailand) railroad by the Japanese and their prisoners of war – mostly Australians. There are three basic parts and Part 3 is the part with the camp scenes. Parts 1 and 2 are about prior to being captured, Parts 4 and 5 are about after being captured. But Part 3 is the focal point of the book and of the lives of the characters. For the most part, the book focuses on the life of Doctor Dorrigo Evans, and when it opens he is aging and wondering about his stellar career and other matters. As the book goes on Dorrigo, as he is usually called, remains the focus but his is not the only point of view. Other POWs as well as their captors are given space where there actions and ideas are explored before and, more often, after the actual camp experience. The title is from a Japanese book of haiku by Basho which both Nakamura and his vicious side-kick Colonel Kota enjoy. Basho’s book is a 17th century travelogue of poetry – Some samples at: The Green Leaf. The epigraphs fronting each Part are haiku. I think the juxtaposition of poetry and violence, highlights the highs and the lows of our different cultures, Japanese and Western. Dorrigo reads the poetry of Tennyson. This is definitely a work of historical fiction but the scope is much wider – in fact, this may be one of the most ambitious novels I’ve read in several years.